Most makeup routines start with a freshly washed face. 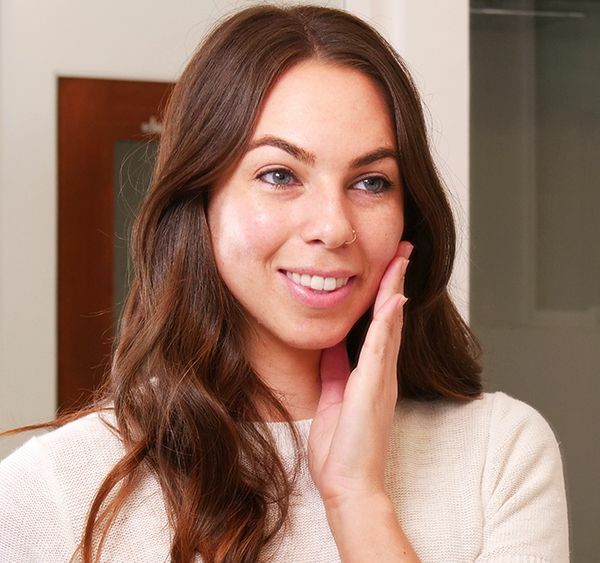 Micellar water, moisturizer, and SPF all prove useful right before application, but prepping skin even before it’s time to apply ensures skin will look its best. Many ladies forgo multi-step processes due to lack of time and no desire to spend the effort, but taking the extra minutes on pampering steps pays off for the skin and for the psyche—think super-mini spa day, you’re welcome! Here are some products and techniques to try during your downtime, so all that’s left to do is a quick makeup application before dashing off for the day. These products can be found online, on shelves at drug stores, or at the counters of beauty specialty shops. And since just a dollop is necessary each time, there will be enough to get through the weekly routine for months to come. 1. Begin by securing hair in a ponytail or bun, so all strays are off face. 2. Exfoliate. Squeeze a dollop of exfoliating face scrub onto finger tips and rub together until slightly sudsy. Massage onto chin, cheeks, forehead, nose and around nose and above lips in circular motions. 3. Rinse with lukewarm water and pat dry with a towel. 4. Follow up by placing a dollop of moisturizer on fingertips and gently rub in all over, from forehead to cheeks to chin, above lips and nose. 5. 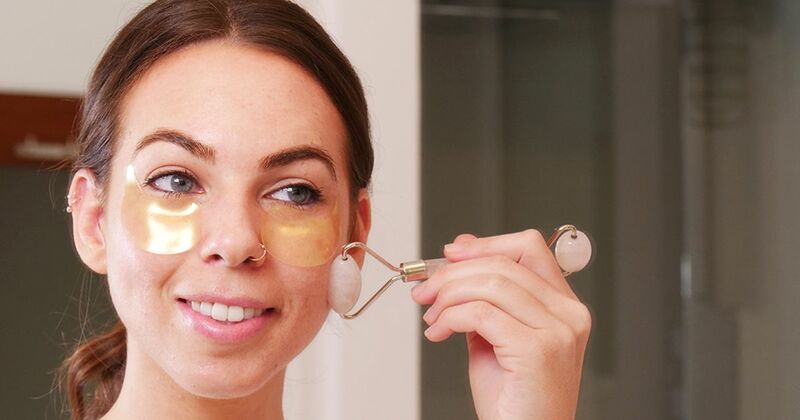 Place under eye brightening masks just below lower lids. Follow manufacturers instructions for application and timing. 6. Use jade roller to reduce puffiness. Holding handle, roll back and forth along cheeks from the corner of lip diagonally up toward hairline, moving over cheeks as you go. Then roll across forehead. 7. Remove under eye masks. 8. Using fronts and backs of hands, gently dab face for final touch. 9. Release hair and all ready to go.